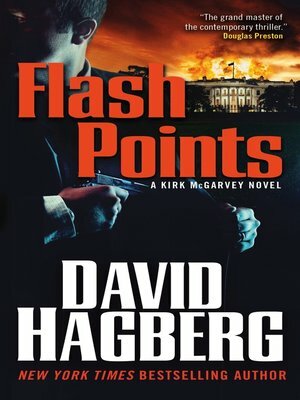 Retired CIA assassin Kirk McGarvey is taking a much needed break. Then a bomb in his car explodes just as he's leaving the vehicle. He barely escapes with his life. The men who went after McGarvey are also after the President of the United States. A controversial candidate, he has just won a heated, heavily contested presidential election. Now his enemies are determined to push him out of office. These men hire a contractor to set up three terrorist assaults in the US as well as other attacks around the globe in hopes of driving him from office. These strikes are at flash points so critical they could incite all-out nuclear war. But the president's enemies have not reckoned on Kirk McGarvey. He has survived their attempt on his life, and he is determined to hunt them down and stop them at all costs. They made a mistake in going after the CIA's #1 assassin.